If you have a question about how to use Courtyard, or you want to make a suggestion, or just need to get in touch with us for any other reason, you can call us any time, or use one of the email addresses below. If we aren’t available to take your call, you can leave a message, and we’ll call you back as soon as possible. Courtyard is the premier product of Sheltered Apps, LLC, which is owned and operated by Paul Nicholson. Paul's introduction to technology occurred at a very young age. He started designing websites at the advent of the world wide web, teaching himself several programming languages. After graduation, he specialized his focus on software and web application development. 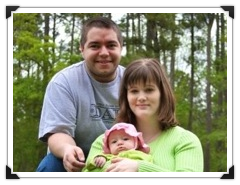 Paul, his wife, Sarah, and their daughter, Emma, reside in Fuquay Varina. Paul enjoys spending time with his family, music, Macs, and gaming.